Carve, slice, and dice with this all-in-one, 15-piece cutlery set. 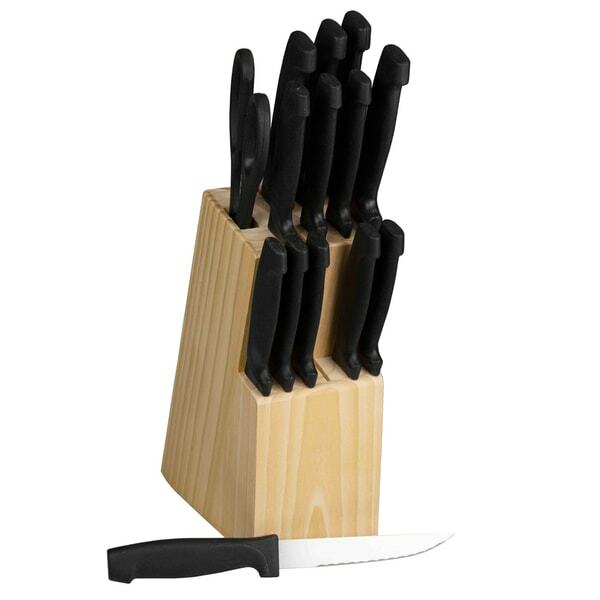 The stainless steel knives are durable and dishwasher safe, and the wooden storage block keeps them organized and safely on display. These knives are very cheap. Handle and blade separated while cutting for 1st time. The wood block looks like it was made in Jr high shop class. Not a quality item.